Blogging is a comparatively recent form of business to consumer communication which provides useful information to your audience in an effort to present an authoritative perspective. Company blogging not only provides useful information that lowers site bounce rates, but they can also provide linking opportunities and social media content that extends your reach and helps build your customer base. Company Blogging Presents More Searchable Content, Quality Link Opportunities, and Much More. Internal Blogs: These blogs are listed on your website as informational content. External Blogs: These blog types are used on other platforms and sometimes linked back to your site. What makes an internal blog valuable is that it accomplishes multiple things at once. First, it drives traffic directly to your main website, skipping a step in the conversion process of an external blog. Second, it keeps fresh content circulating on your blog for Google bots to crawl and index. Google likes new content added to your site regularly and this can help boost your search rankings. Combine that with all the general benefits of blogging, and creating an internal blog makes perfect sense. No Matter What Type of Company Blogging You Choose, Engaging Content and an Entertaining Design are Crucial. The Plumbing Webmasters professionals are experienced in both types of company blogging so you can be sure that your company is receiving the best content available for optimal results. 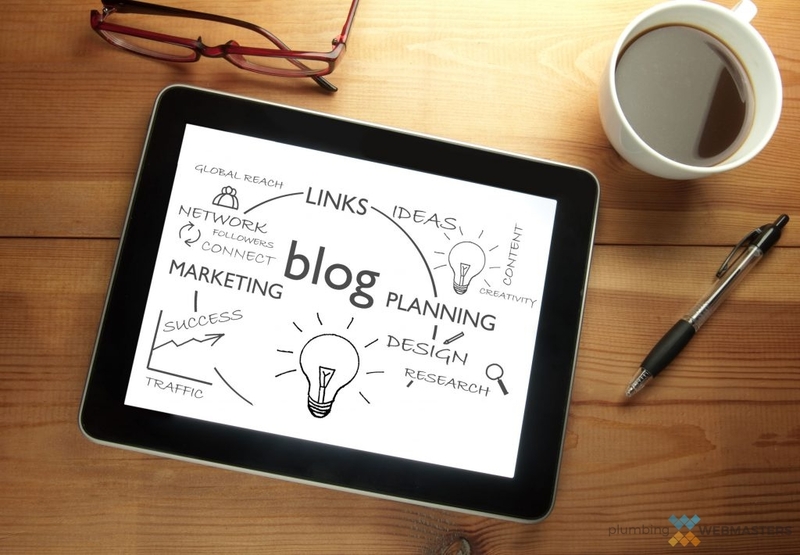 Call us today at (877) 388-9884 to learn more about your plumbing company blogging options or to start your service today. Content marketing is cheap and effective, and company blogging helps facilitate its execution. 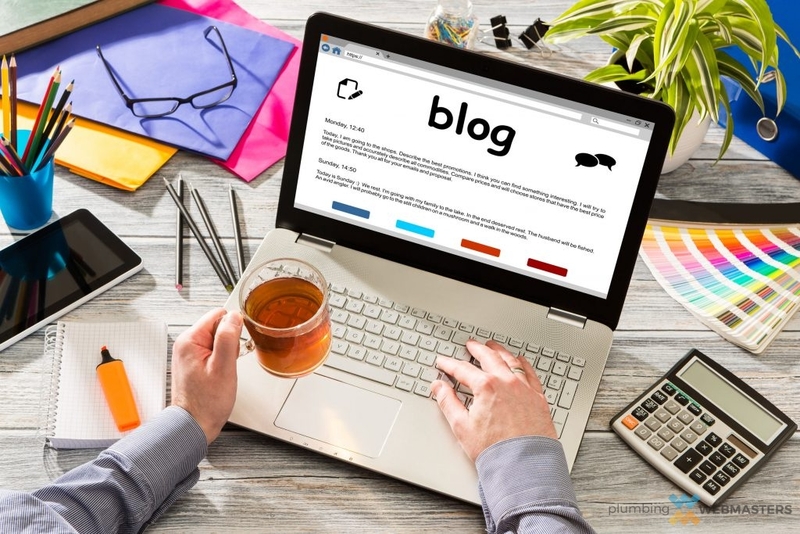 If you can find the time to create engaging and informative blog posts, they will benefit your plumbing company in various ways. 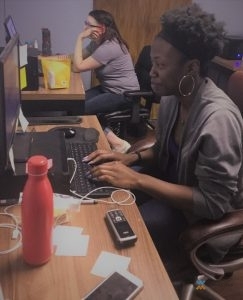 Not only will they increase traffic to your website, but they will help develop your business’s brand and establish its authority within your industry and service area. Plumbing Webmasters employs content writers on staff, ready to craft posts on your behalf. As part of our basic plans, either month to month, or pay per lead, you will receive monthly posts on your internal blog. These posts provide all the advantages detailed throughout this page and require no extra payment. We create posts specifically for your company, and ensure they relate to the plumbing industry in some way. We work hard to create engaging and informative posts that are more than just “filler” for your website. Plumbing Webmasters prides itself on content quality. External blogs can be useful too, but they don’t provide as many advantages as their internal counterparts. Most external blogs are hosted on major web entities like Google Blogspot, WordPress.com, or Tumblr. Although many popular blogs exist through these platforms, their content is still partially controlled by an external entity, which limits its value to your company, and your SEO specifically. To discuss why an internal blog will help your plumbing company generate leads in 2018, give us a call today at (877) 388-9884. Updated on April 12, 2019 at 4:23 pm by Plumbing Webmasters.